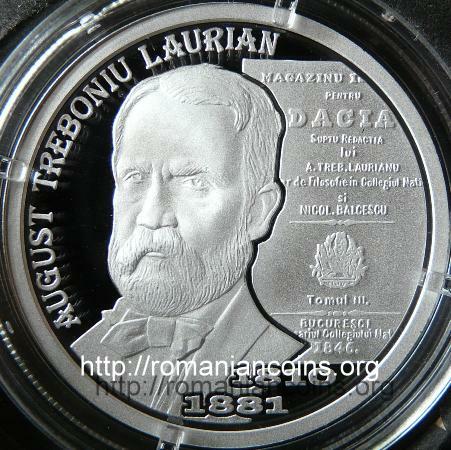 August Treboniu Laurian was born in year 1810 in the village of Fofeldea near Sibiu. His real name, not Latinized, was Augustin Trifan. He studied at Sibiu, Cluj and Vienna. Between 1842 and 1848 he taught philosophy at Saint Sabas National College in Bucharest. In the capital city of Walachia he participated to all the initiatives done by the progressive young politicians. Together with Nicolae Bălcescu he published five volumes of old documents, chronicles, old monument descriptions, under the title "Magazin istoric pentru Dacia" (Historical Magazine for Dacia). The first volumes were printed with Cyrillic letters. 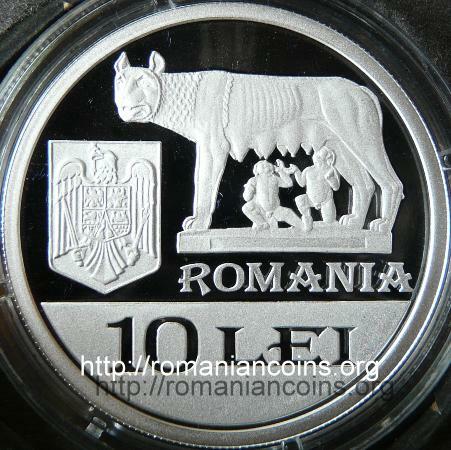 Ha also wrote a "History of the Romanians", and he is nowadays recognized as one of the first great Romanian historians. He participated to the 1848 Revolution in Transilvania and at the actions done by the Romanians from Transylvania in the years after the revolution. In 1852 August Treboniu Laurian came into Moldavia. Here he acted as general inspector of the schools until 1858, when he moved back to Bucharest. Laurian received the Ph.D. title at the renown University of Göttingen, as a reward for all his writings, historical and philological, in year 1855. On the lists published at Göttingen his name is written Aulus Trebonius Laurianu. When he came back in Walachia he worked again as professor at Saint Sabas (Sfîntul Sava), and later at the Faculty of Letters of the University of Bucharest. In 1871 and 1876 he published, together with Ioan C. Massim, a dictionary of the Romanian language, prepared as project demanded by Academic Society. Inside the two volumes counting almost 3000 pages words of Latin origin are recorded, all the words of foreign or questionable origin being piled up inside a "Glossary" of 584 pages only, printed in 1871. The etymologiyed exaggerations made by Laurian and Massim did not have any chance to get adopted by the people. The Romanians simply refused to eliminate from the language the words from the glossary. The new words proposed in the dictionary were not used at all. Laurian was member of the Academy since the establishment of the institution (The Literary Romanian Society, founded on April 1st/13th 1866 by a decree of the Princely Lieutenancy, was transformed in August 1867 into the Academic Romanian Society and had the following goals: settling the orthography, elaborating a grammar and a dictionary of the Romanian; named Romanian Academy from 1879). Laurian was appointed member of the Academy on the 2nd of June 1867 by Carol I. He occupied one of the four places reserved for Walachia. He was president of the Academy in 1870-1872 and 1873-1876. A large part of Laurian writings - three volumes from "Magazine", the "Dictionary" and "Glossary", the first part of the "History" are available on the Google Books project (August 2010).